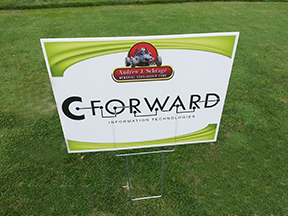 On Saturday June 22, 2013 C-Forward was proud to host the first annual Andrew J. Schrage Memorial Scholarship Fund Golf Outing. The event featured 60 golfers and was generously supported by over 20 sponsors including the Kentucky Organ Donor Affiliates and UofL Rapid Prototyping Center where Andrew previously worked. The monies raised will go toward the Andrew J. Schrage Memorial Scholarship Fund at University of Louisville. This scholarship will be awarded to Northern Kentucky students entering the mechanical engineering program at the J.B. Speed School of Engineering, University of Louisville. Andrew Schrage’s life was shortened by a tragic accident on July 6, 2011. University of Louisville posthumously honored Andrew and awarded him with a Bachelor’s degree. 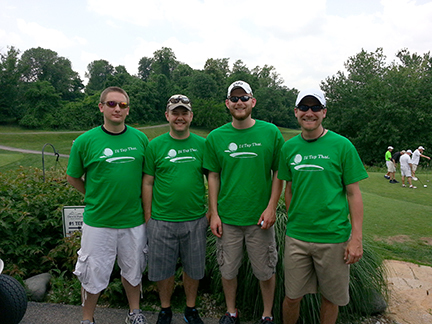 We hope you will consider joining us at next year’s golf outing. Date TBD.